I know a lot of people are not familiar with BH Cosmetics, because they retail only online. They have amazingly affordable makeup, which go on sale almost every day on top of the unbelievably low original price tag. If you are a makeup junkie just like me, and you’re looking for quality, quantity and affordability, BH Cosmetics is the number one site you should check up on a weekly basis. Almost every week they have some sort of promotion happening, so if you keep tabs on them, you will not only save some dollars but you’ll get some quality makeup too. 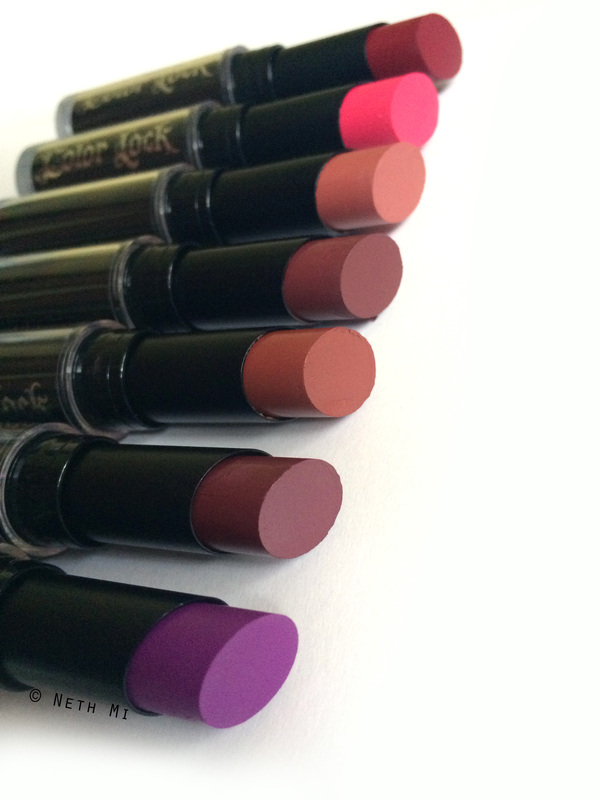 I generally love matte finish lipsticks because it can never overdo your makeup look. The problem is finding that perfect formula that doesn’t feel too drying or tacky on your lips. Some matte lipsticks can enhance the lines and dry patches on your lips, so even though everybody’s raving about matte lipsticks, it’s really difficult to find one that feels comfortable and look good at the same time. 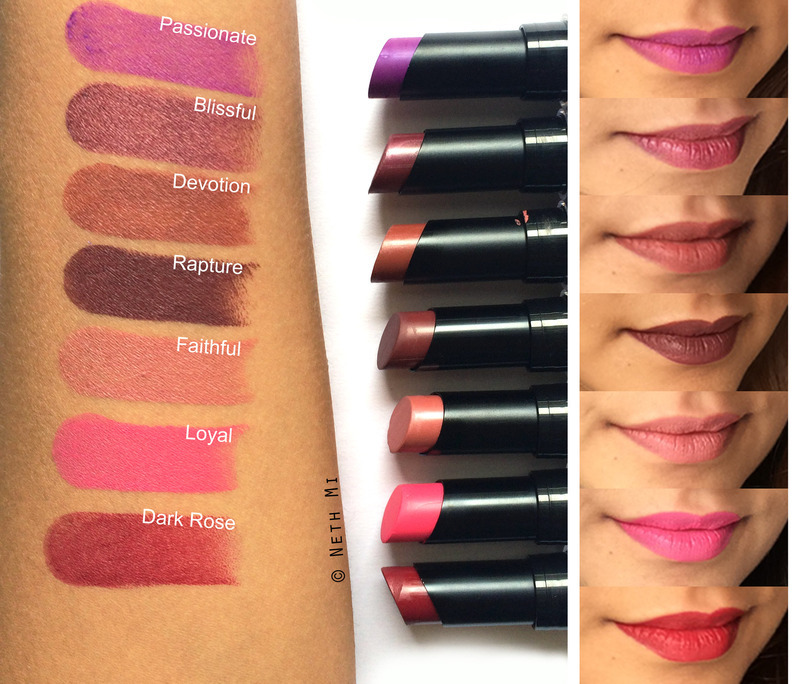 I haven’t tried BH Cosmetics’ Colour Lock Matte Lipsticks before, but I decided to try 7 of their shades, because who can resist a lipstick at US$ 4.00? 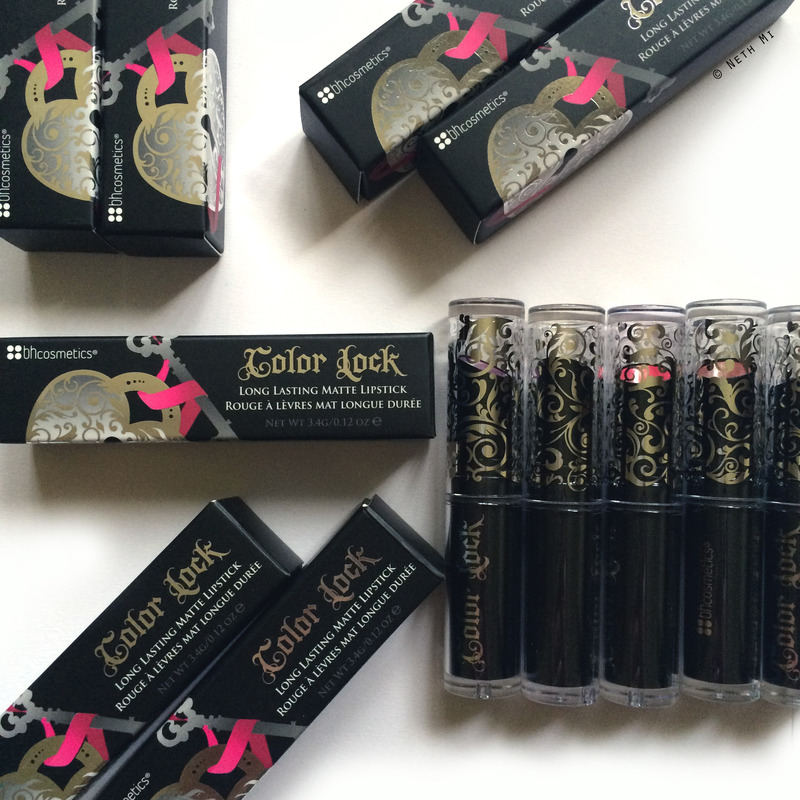 Packaging of each lipstick is: Plastic with a transparent lid so you can easily see the colour of the lipstick. They don’t look too luxurious or too cheap either. I think the packaging is very cute, and it feels kinda sturdy too. I found it a little difficult to open them, but it’s a minor problem. Overall pigmentation: Was superb in all of the above colours except Blissful. Consistency: Was good, and the application was easy because of the smooth texture. It wasn’t as drying as MAC matte lipsticks. Wear time: These lippies are hard to remove, so you’ll need some good makeup remover to take them off, again except Blissful, which stained my coffee cup and removed very easily (the others didn’t leave any stains) They lasted close to 7-8 hours and even after removing with makeup wipes you could still see a faint tint on my lips. Do I recommend these? Yes. Keep checking BH Cosmetics for amazing sales. Even if they are not on sale, their original price is US$ 9.00 per lipstick, but they’re sold around US$ 5.00 most of the time. I recommend all above colours except Blissful because for US$ 5.00 (or even at 9.00) they’re totally worth buying. I would definitely repurchase them. Many of you’ve been asking me how to get these. Check out their website and they deliver worldwide. I will see you soon with a highly requested review on Anastasia Beverly Hills Pro Series Contour Kit- Light to Medium post!